When starting a certain business, one should know that he can rely on the internet to get a help. Internet shopping is a standard of today, so you often see people doing their shopping stuff online instead of going to a real market to buy new clothes, phones, and even food. That’s because the internet shopping is simple, fast and more reliable than you may think. So, if you are looking to build your own business, promote or sell some stuff, then you can do that online. Isn’t that wonderful? I mean, building yourself an amazing, beautiful-looking online store and earn some cash… hell yeah! It all sounds wonderful and it is if you find an appropriate place to start. Many websites and providers are offering their services for you, and if you want to create something exquisite, you must pay a certain amount of cash. How much you’ll pay depends mostly on the service you choose. So, to make your job easier, I will introduce you to Wix Stores– a cheap, yet effective tool. Have you heard of it? It’s an amazing tool for creating your own online store and managing your small business. More about Wix Stores in the next section. As we mentioned, Wix Stores is your desired tool for creating a unique, beautiful and economic online store. It is just another Wix product integrated with the Wix website builder. It lets you apply a certain design to your store, putting up some great stuff to sell and earn cash. Furthermore, Wix Stores is here to help you manage your small business and promote yourself in order to achieve your goals. All in all, Wix Stores is a complete bundle of tools needed to start an online store. That’s so amazing! You didn’t think I would just leave you without any further knowledge, did you? Let’s see how to create and publish your online store. Setting up your online store in Wix Stores is very simple. You don’t need to be a rocket scientist to do this, and you’ll fall in love with the intuitive and colorful interface that this tool offers. The steps are below. Sign up for free or log into your account. This is simple; just visit the Wix stores, click on Add to site button, enter the needed info about yourself and you’re good to go. Be sure to use a valid info when doing this. Now, you are all good to go. Wix Stores will immediately present you its large plethora of eComm templates, so be sure to select a corresponding online store template and use it. Don’t rush, I know there are a lot of cool templates offered! In order to show your customers how unique and cool you are, you need to design your storefront. Make sure that you use a beautiful design that’s both eye-appealing and user-friendly. Now add product pages. Always display your products in a beautiful and elegant way. Add a few images, short but detailed descriptions, prices, specifications and more. Choose your domain. This is a very important step and now it’s time for your authenticity to shine. Choose an original brand name and register it to your website. Take your time with this one! When your customers decide to buy stuff from you, they’ll need to pay somehow. That’s why you need to add payment options. Open your Wix account, then go tothe Payment tab, set your business location and choose some of the payment methods (Wordplay, Square, PayPal, etc). In the end, publish your online store and start earning some cash, with a simple click to the Publish button. I told you-you’ll be amazed! Wix Stores is a serious tool for your business needs and as such, it boasts some amazing features you can utilize. 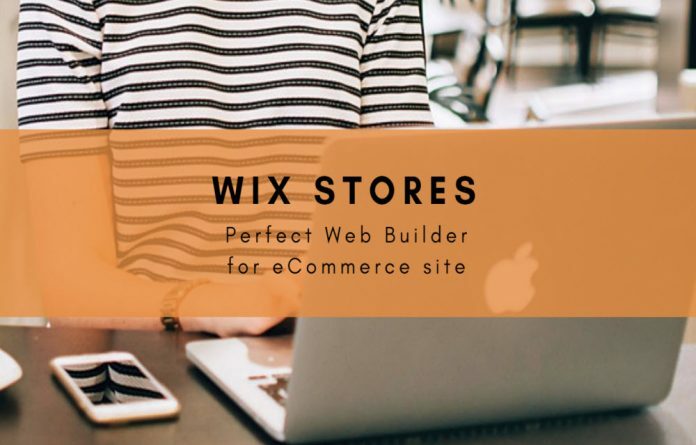 Aside from those we already mentioned, these are the other features of Wix Stores. With the cutting-edge technology and all of the cool features at your disposal, Wix Stores is the best solution for creating an online store. It’s reliable, cheap, effective and lets you wrap up your online store in no time. I simply can’t think of a better tool than this one. Even if you are a newbie to online business managing and online stores, Wix Stores has an amazing 24/7 support which will solve all your problems and doubts. Still, your success won’t come overnight, but I’m sure that Wix Stores will be of great help when it comes to developing your business.